Swamini Lalitananda ji joined hands with Sri Omananda Swamiji in a noble undertaking. To raise funds to house, feed and educate destitute children and women in three different locations in India. After the Maha Samadhi of Omananda Swamiji, she continues the noble work with present Swamiji Sivananda Saraswathi. With the divine blessings of her Guru, Swaminiji has established the Atma Vidya Ashram. Their Ashrams are purely run by donations and do not receive any aid from either the State or the Central Government of India. 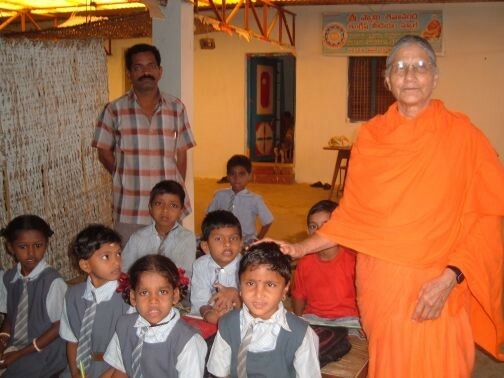 Sivananda Ashram/ Orphanage and School is an affectionate home to destitute children and is located in a very remote area near Narsipuram, Dist. Srikakulam, Andhra Pradesh. 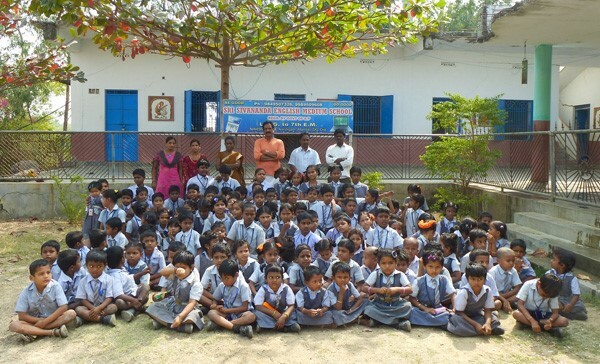 Recently a school was constructed by the Ashram for the benefit of Ashram children as well as surrounding rural children. About 200 children are being educated in this school. IDRF has been supporting their project ‘Dollar a Day’ (DAD) program, and funds go towards providing lodging, boarding and education for the poor and helpless children. Almost all the children in the ashram have painful stories to tell about their past. But Swaminiji’s mission has made all the difference in their lives. Their basic necessities are taken care of and their confidence is boosted to move on in life with greater spirit and confidence. Let us all join together and strengthen this noble endeavor in our own humble way by supporting IDRF in meeting the basic necessities and education of these destitute and orphaned children. Please click on the link to learn more details about Sivananda Ashram’s various programs.